I had a recipe post to share with all of you today but it seems trivial to share with you in light of the events in Boston yesterday. This post is all over the place... I am still having trouble processing what happened and why.. I was sitting at work watching the marathon stream on my computer while discussing with my boss how incredible all of these people were for running 26.2 miles. The race was dedicated to the lives lost at Sandy Hook just a few months ago which made it that much more emotional for those running and those watching. Long distance runners are heroes in my eyes because they accomplish something I could never imagine doing, some of them do it only once and other run it time and time again. Fast forward to a few hours later when I saw a tweet, "2 bombs just went off at the Boston Marathon finish line." I said it out loud to my boss, neither one of us fully believing what I was saying was true. I spent the last hour of work glued to live news coverage and twitter. Tweeting to blog friends I knew that were running/watching hoping they were okay. 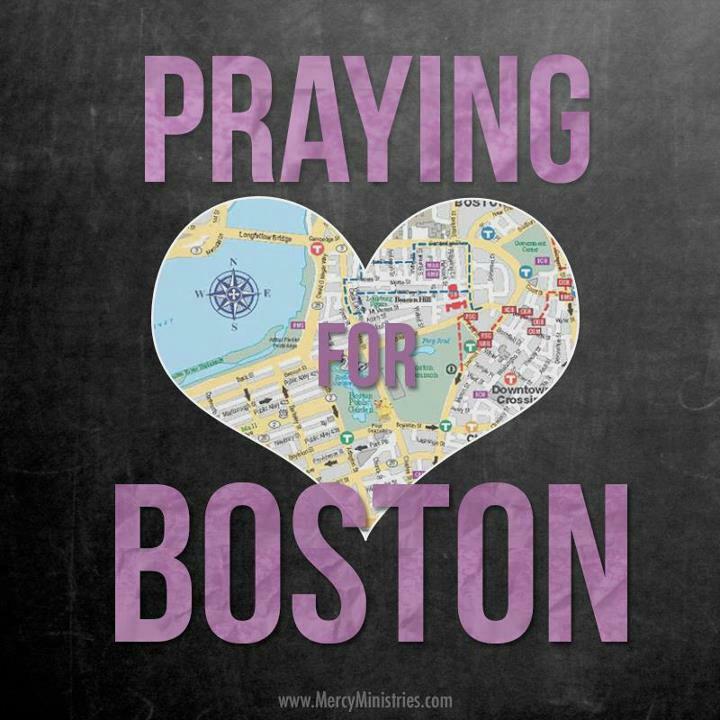 Sad for those who were affected by such a terrible, unnecessary tragedy. When things like this happen all I can think of is Why? I know I am not the only one thinking and feeling this way today, so feel free to open up in the comments below. I've seen a lot of social media buzz about people wearing old race t-shirts today in honor of those at the Boston Marathon yesterday. So sad... Hugs to you, girl. My heart is breaking for Boston today. I'm a new viewer to your channels and blog, first time commenting. I'm wearing my race shirt today. The local UPS store is also donating $1 to the Red Cross for everyone who comes in, wearing their race shirt. As our hearts break for everyone affected by this tragedy, we can delight in how everyone has come together to help. Blood supplies are full, with additional people standing by to donate, the Red Cross site crashed yesterday from so many donations coming in. Look at how we, as Americans, come together to celebrate the beauty, dedication, and unity of our citizens. Peace and love to all, as we grieve and mourn.